Foods high in niacin are an excellent way to acquire your daily requirement but you may find you need supplements in order to get enough. Niacin is a water-soluble vitamin that supports your metabolism, especially the processes that turn food into energy. Niacin coenzymes aid in the converting of carbohydrates, protein and fat into energy for your body. In addition, these same coenzymes assist in the creation of red blood cells. This support for energy metabolism makes niacin an important vitamin. If you have a niacin deficiency, then you'll have many symptoms associated with a sluggish or slow metabolism. It's always best to turn to foods before supplements for the nutrients you need. Even if you're taking vitamin supplements, you'll certainly want to improve your diet to include foods that can supply the vitamins you're lacking. If you want include foods that have the highest concentration of niacin in your diet, then you'll want to focus on eating foods that are high in protein. Animal protein has higher concentrations of niacin than carbohydrate foods. Meat proteins while certainly not the only source of protein, often have higher concentrations of niacin. Many people seeking niacin in foods instead of supplements or in addition to supplements will choose to add meat proteins. 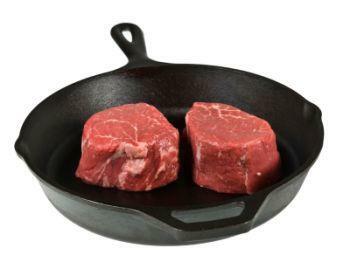 When choosing meats, especially red meats, be sure to opt for lean cuts instead of those with a lot of fat. Organ meats are excellent choices for lean protein. One of the best sources of protein is fish and seafood. The way you prepare your fish is very important because you don't want to add unnecessary fat. Opt for grilled or broiled preparation. Whole grains, nuts and seeds offer you a non-meat protein alternative. You can add brewer's yeast to smoothie drinks or juice you make from fresh vegetables. Most nuts can be made into a nut butter, which make excellent spreads. Seeds aren't just for bird feeders and make an excellent snack choice. Some researchers have suggested that Dairy protein is better than meat protein if you're trying to lose weight, while others contend it slows the loss of weight. The difference in these opinions could be due to the differences in individual metabolism and basic genetics that scientists don't yet understand. Whichever holds true for you, it's good to have a balance of different protein sources in your diet. Legumes or beans offer you a different taste and diversity in your quest for foods high in protein. You can choose from a variety of textures and tastes as well as various ways to prepare this vegetarian choice of protein. Just as you wouldn't overdose on taking too much niacin supplements, you shouldn't overeat foods high in niacin.